Getting here is easy. South Walton’s 16 unique beach neighborhoods, which are home to many 30A Songwriters Festival venues, are located along Emerald Coast Parkway on the Northwest Florida’s Gulf Coast between Destin and Panama City and just south of I-10 . South Walton is popular driving destination for vacationers across the southern United States and just a day’s drive from major metropolitan areas including Atlanta, Birmingham, Nashville, New Orleans, and Houston. Shuttle buses will stop at the public parking lot at the Silver Sands Premium Outlets parking lot on Saturday and Sunday mornings beginning at 10:30 am and continuing until 12:30 pm to take people to the headline shows at Grand Boulevard. Buses stage at Grand Boulevard to return festival goers to Silver Sands at the conclusion of the afternoon shows. Northwest Florida Beaches International Airport (ECP) is the official airport of the 30A Songwriters Festival. Offering daily non-stop flights from Atlanta, Baltimore, Houston, Nashville, St. Louis, and Dallas, many of the festival’s performers and attendees choose ECP for its convenience, flight options, and close proximity to the festival. Service is provided by American Airlines, Delta, Northwest, and United. Destin Jeep Rentals, the Official Jeep rental of the 30A Songwriters Festival, offers daily and weekly rentals of new Jeep Wranglers and SUVs. Book your Jeep or SUV now and drive in style during the Festival! 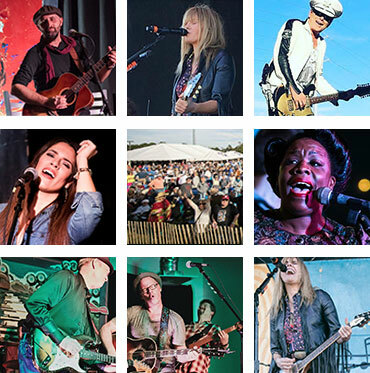 Enterprise is the official airport car rental of the 30A Songwriters Festival and offers a wide selection of compact to full size cars, SUVs, minivans and trucks to choose from at the car rental branch at Northwest Florida Beaches International Airport. Getting around South Walton has never been easier. In addition to the festival shuttle service, the area is served by several taxi and limo services as well as Uber and Lyft.